Mexican authorities have arrested a man in connection to the disappearance earlier this year of three Italian men in the western state of Jalisco, a case that triggered angry street demonstrations in Italy denouncing Mexican police. [post_ads]The victims, 60-year-old Raffaele Russo, his 25-year-old son Antonio Russo and his 29-year-old nephew Vincenzo Cimmino, were apparently in Mexico selling electric generators and other imports. Raffaele Russo disappeared first on Jan. 31, according to his family back in Naples, after he went to Tecalitlan by himself to try to make some business deals. 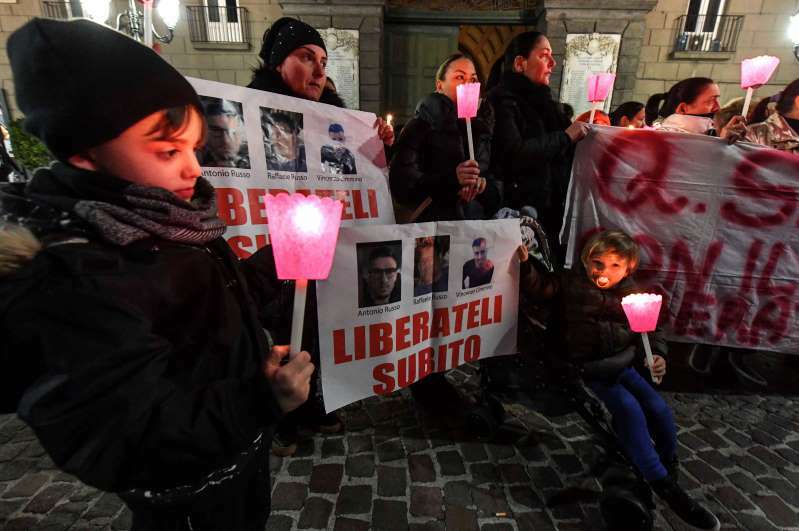 When they didn't hear from him, Raffaele Russo's son and nephew went to the town and tried to locate him by tracing his car's GPS, the family said. They said the pair were quickly surrounded by local police and taken into custody. The men have not been heard from since. The case has sparked outrage in Naples, with residents marching in the streets and the city's beloved Napoli soccer team unfurling a large banner in its stadium that read "Free the Neapolitans in Mexico." Earlier in the year, Mexican authorities arrested several police officers in connection with the case. They also said the entire police force in Tecalitlan was dispatched for additional "training" after the Italians' disappearance. Authorities say they don't know what ultimately happened to the men, but shortly after their disappearance, Jalisco's attorney general, Raul Sanchez Jimenez, suggested the Italians were part of a ring peddling fake machinery. Raffaele Russo had been arrested in the southern Mexico state of Campeche three years ago on suspicion of selling false goods, Sanchez said, although it was unclear whether he was ever formally charged or prosecuted in that case. The group's rise, which is thanks in part to the systematic weakening of other cartels whose leaders have been killed or arrested, has corresponded to a nationwide surge in violence. Last year, there were a record 31,174 homicides in Mexico, according to new data released by this week by Mexico's national statistics institute. That figure is substantially higher than the 29,168 homicides previously reported for 2017 by the Interior Ministry. The discrepancy is due to each agency's method of counting. While the statistics institute visits morgues to collect information, the Interior Ministry counts homicide investigations, which sometimes involve multiple victims. The new figure means Mexico saw 6,615 more homicides in 2017 than in 2016 — a 27 percent increase — and more than twice as many as eight years ago.